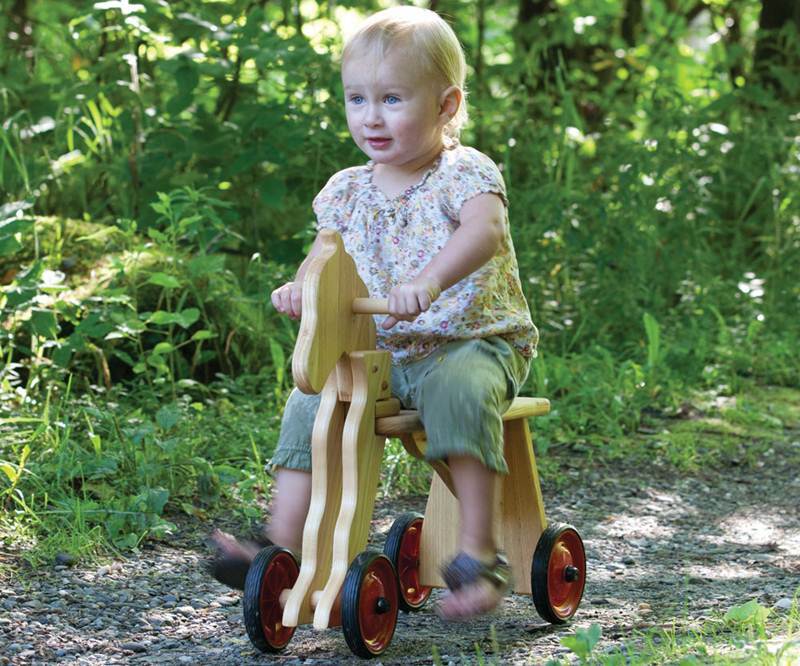 This little Rolling Horsie is sure to add some fun to nature outings with your child. Made of solid birch wood with sturdy-toddler-tough wheels, this toy won’t get sway-backed even after your toddler has broken it in. The horse’s coat has been brushed and coated with natural linseed oil for safety and a classic ride-on horsie look. This cute horse is appropriate for children aged 2 years and up. The seat sits three hands (11”) from the ground and will make for a wonderful surprise under the Christmas tree or birthday gift.